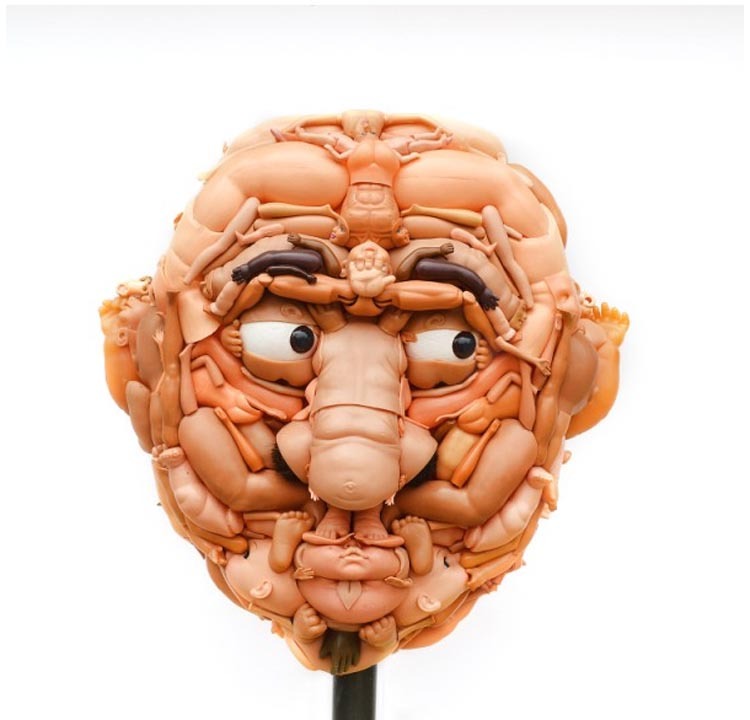 I’m not going to deny that these are a little disturbing, but they’re also pretty incredible. Australian artist Freya Jobbins takes her inspiration from artists such as Guiseppe Archimboldo’s and his fruit & veggie paintings, Ron Mueck’s oversized humans, and Gunther Von Hagen’s plastinated corpses. 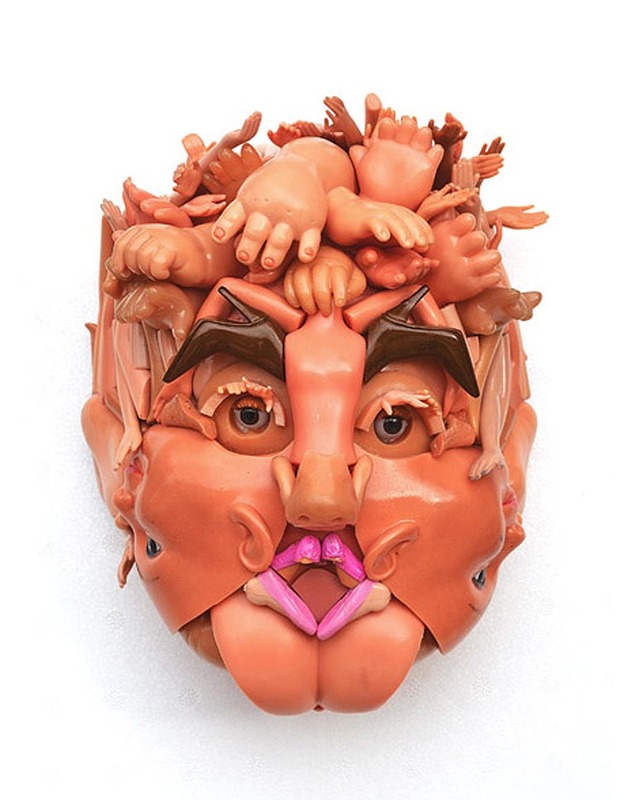 Add to that her interest in the relationship between consumerist fetishism and the emerging recycling culture within the visual arts and the result are her humanoid faces and busts made of pre-used dolls and toys. This puts a whole new spin on the term dollface. This entry was posted in Art, Industrial Design, Pop Culture. Bookmark the permalink. Thanks for respecting other people’s work. Sorry Marco, I saw it on Junk Culture, hence the source. I’ve added THEmag now as well. Sorry I originally found the article on designyoutrust, and I have updated my blog as well. I also would like to point out that THEmag doesn’t cite any sources. Oh, the hypocrisy. Yes, it gets complicated. I think the unwritten “rule” is to credit where you spotted it, but we all know how disappointing it is to find something good and not get credited. Thanks for stopping by JC! @collabcubed: thanks for updating the post without complains, and thanks for your understanding words, here and on Facebook. Keep in touch.